Our sensors provide protection for anything that opens and closes. Easy to install on anything that opens or closes. Place on handle side of a door. 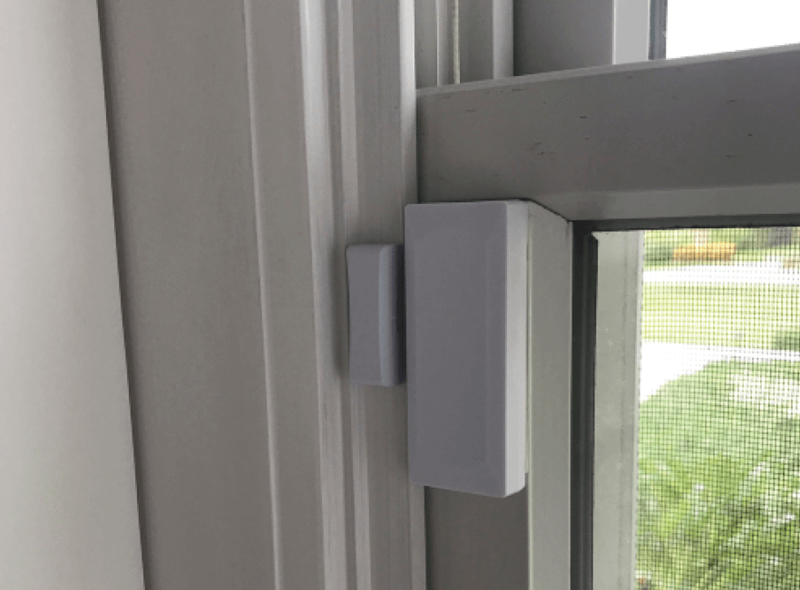 Easy to install on anything that opens or closes. Place on either side of a window. 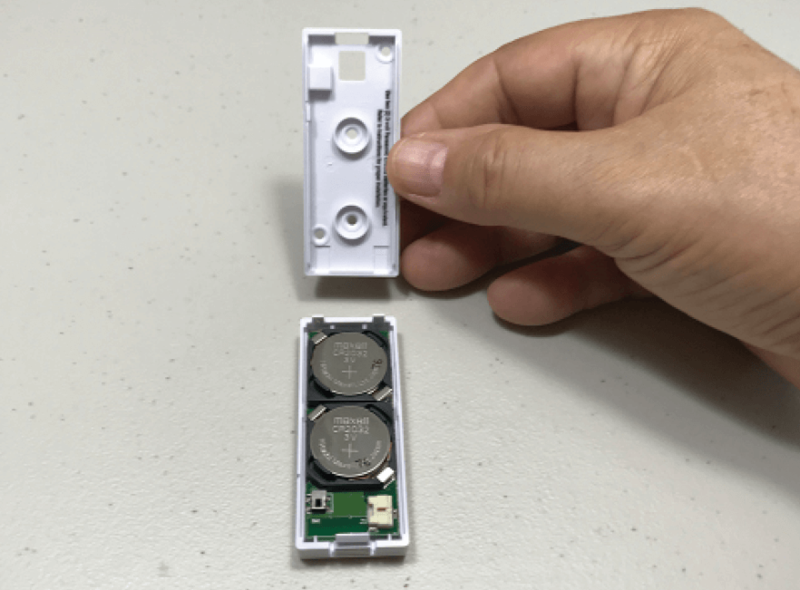 When your sensor battery gets low, you will be alerted on your panel. 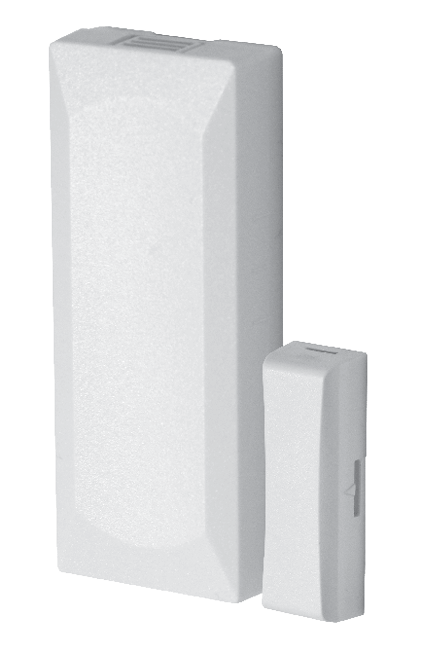 The wireless door alarm & window alarm sensor is designed for use on doors, windows, and other objects that open and close. 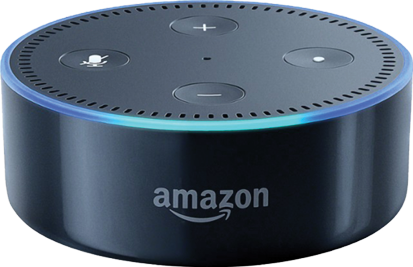 When your system is armed and a door or window is opened, you and the central monitoring station are notified immediately. 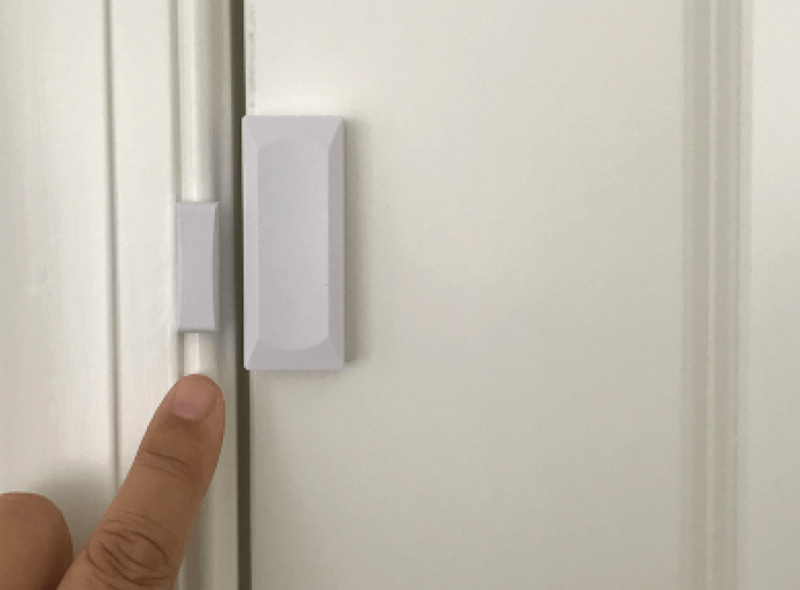 These door motion sensors can be programmed to serve other needs in your home, such as in a medicine cabinet or in a child’s room door/window. When the magnet (which is mounted near the sensor) moves away from or closer to the door contact’s sensor, signals are transmitted to the control panel. Receive text alerts on your phone when your door/window motion sensor has been left open for more than 10 minutes or during an alarm condition. "Installation process went really well. The technicians were really good and very helpful. So far, everything has been positive."